via Curbed.com – After launching leasing for its 448 pricey rentals back in September, Jersey City’s 45-story residential building, Vantage, is now unveiling its amenity spaces. 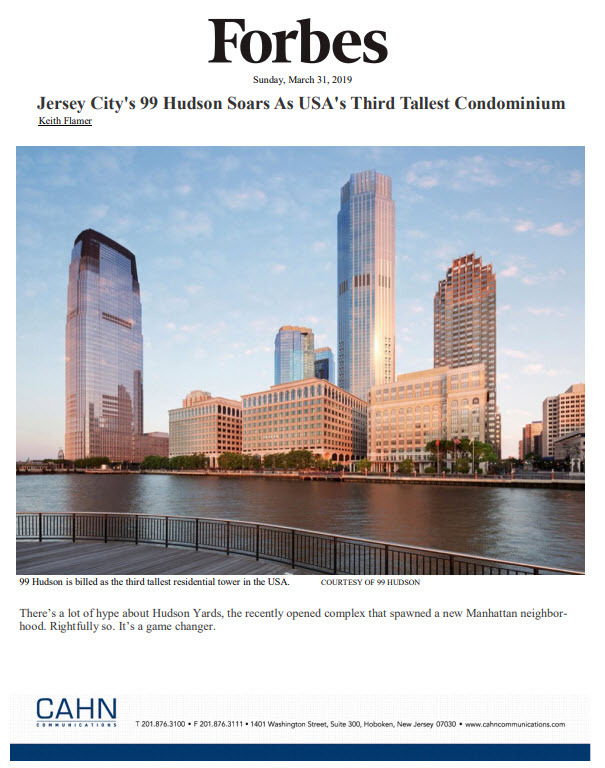 The S9 Architecture-designed building is located in Liberty North Harbor at 33 Park View Avenue and is composed of studios, one-, and two-bedrooms with floor-to-ceiling windows that give view to Manhattan’s skyline. Apartments range in size from 550 to 1,300 square feet and prices start around the low $2,00s per month mark. Developed by Fisher Development Associates, the building aims to provide “five-star amenities” by offering 24-hour concierge, a “state-of-the-art health club,” a screening room, children’s playroom, business center, and a cyber cafe. The sixth floor gives way to a landscaped outdoor deck, full of amenities that include a swimming pool, full-sized basketball court, and a lounge. On the 45th floor, there is yet another lounge, this one called the Vantage Point Sky Lounge, and offers stunning views of the Hudson River and city skyline.